In the past, many young American juniors considered to be the next “big thing” have fallen short of expectations. Although the same pressure has been placed on 17-year old Frances Tiafoe, this year he has lived up to the hype. The Maryland native started the 2015 season ranked No. 1136 before climbing up to a career-high of No. 286 in June after posting a 12-3 record at ATP Challenger Tour events in Sarasota (quarterfinals), Savannah (semifinals) and Tallahassee (final). 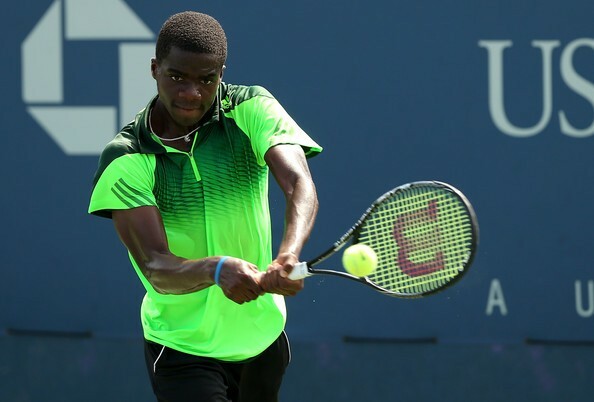 Tiafoe’s success earned him a wild card into the main draw of this year’s French Open, making him the youngest American to play since Michael Chang won the title in 1989. Granted a wild card into this year’s main draw of the BB&T Atlanta Open, the 2013-14 Easter Bowl champion will look to improve upon his 2014 second round qualifying draw defeat to New Zealand’s Michael Venus, 3-6, 7-6, 6-7. On Monday, July 27, Tiafoe will participate in the Celebration of American Tennis presented by PowerShares, a two tiebreak sets exhibition against 2012 champion Andy Roddick.